Pickup trucks continue to offer more bang for your buck. Every year, their utility and performance specs get better, which often means they increase in size. If you’re looking for a utility-minded pickup truck that is also a great option for urban driving, the size to which many flagship trucks have grown, may be more than you need or are looking for. 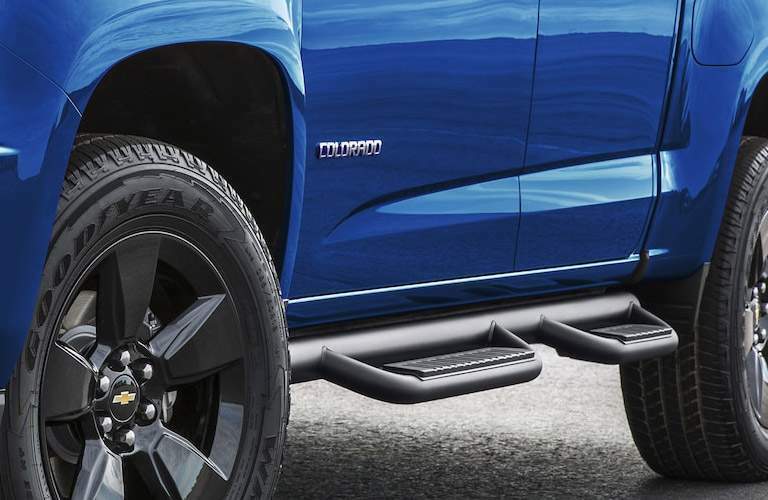 For that reason, Chevrolet has scaled down everything drivers love about the Silverado, and provided a new option – The Chevrolet Colorado. The mid-size Colorado provides plenty of horsepower, hauling and towing but in a smaller package that’s as much at home on the work-site as it is in the parking garage downtown. Full of interior refinements, standard technology and plenty of comfort amenities, the 2018 Chevrolet Colorado delivers big feelings in its dynamic mid-size package. 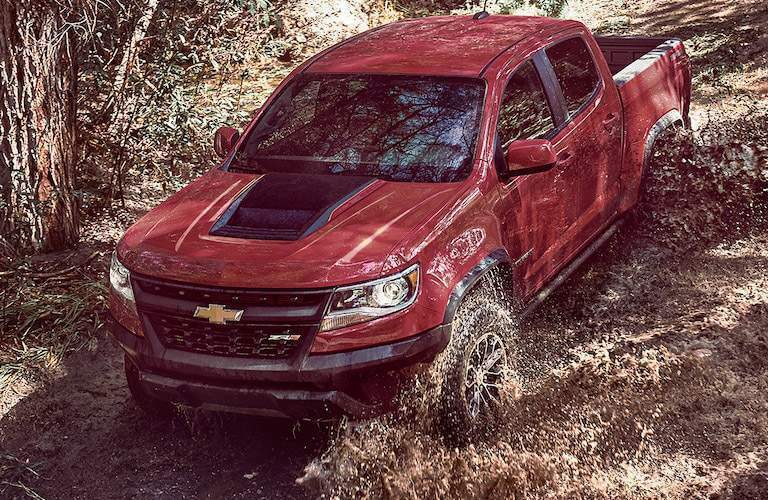 Test-Drive a 2018 Chevrolet Colorado in Scottsboro, AL today! More than any other vehicle in its class, the 2018 Chevrolet Colorado delivers everything desired by pickup truck drivers with some welcome surprises. Three available engines, ranging from the efficient 2.5L 4-cylinder engine through the towing-capable 2.8L Duramax® turbo-diesel, empower you to pick the performance that matches your unique needs. Whether you’re looking for a torque-heavy rear-wheel drive power-mover, or an all-weather ready all-wheel drive towing companion, the 2018 Chevrolet Colorado has you covered. Inside, you’ll enjoy one of the most refined, convenient and comfortable interiors in a pickup truck. An available 4.2” multi-color driver information center provides all of the information you need for your driver. While a standard 6-speaker audio system fills the cab, crew or extended, with 360-degrees of crisp, high-definition audio. 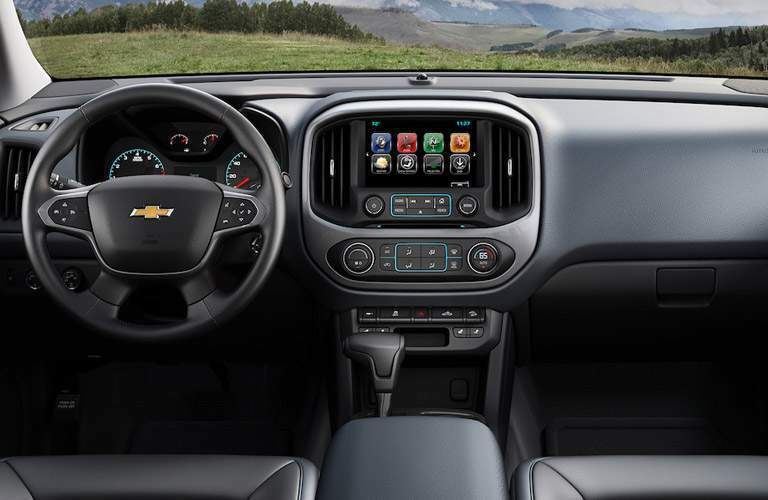 The standard Chevrolet MyLink Radio with 7” color touch-screen display is able to be upgraded to an 8” touch-screen with navigation for the perfect amount of control over your infotainment on the road. Available driver power-adjustable lumbar seat control and 4-way power seat mean you’ll be riding in comfort, whether it’s taking a load across town, or hauling a trailer cross-country. 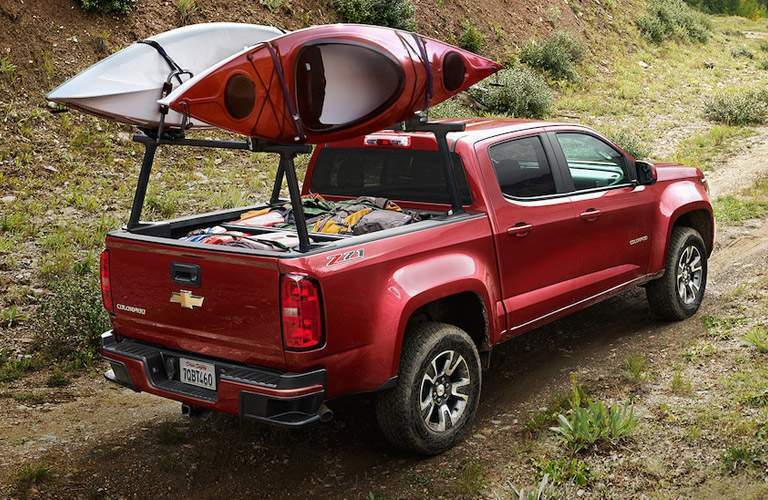 Oh yeah, you’ll haul more than ever before in the 2018 Chevrolet Colorado. Capable of hauling up to 7,000 lbs. when properly equipped, don’t let the mid-size classification fool you. The Colorado has a heart and performance specs to compete with the biggest names in the game. The 2018 Chevrolet Colorado is a robust pick-up truck that provides an unprecedented amount of utility in a smaller body. For more information on the 2018 Colorado, or to schedule a test drive, contact us today! If you’re looking for an attractive ride, with enough performance to overcome any utility needs, you’re looking for the Chevrolet Colorado. Typically marketed as a worksite vehicle, the Colorado is also available in an off-road equipped ZR2 package. In this blog, we look at the 2017 Chevrolet Colorado ZR2, whose performance specs have carried over into the current 2018 model year!